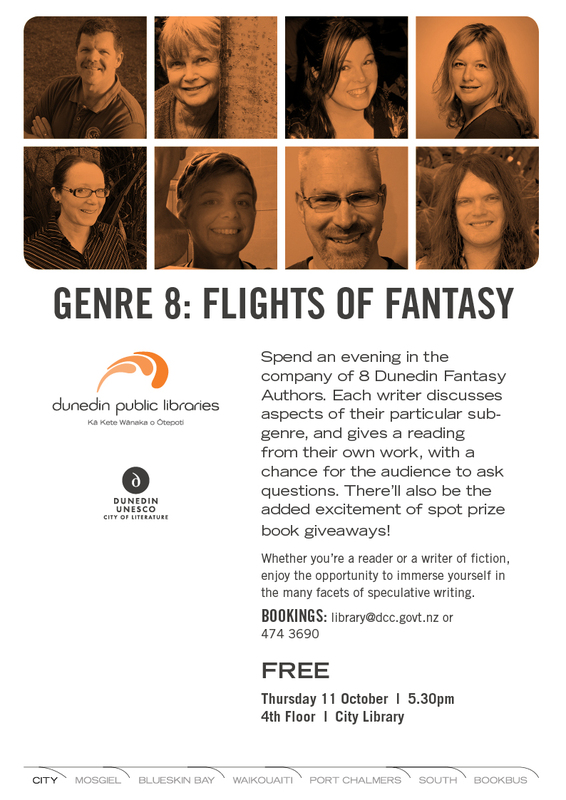 As the poster says: come along to the Dunedin Public Library’s fourth floor at 5pm on Thursday the 11th October for a chance to hear eight local Fantasy fiction writers read from and discuss their works, and ask questions. There will even be free books! Each writer will read/speak for around eight minutes, plus time for some questions. Podcast. Does that sound interesting?